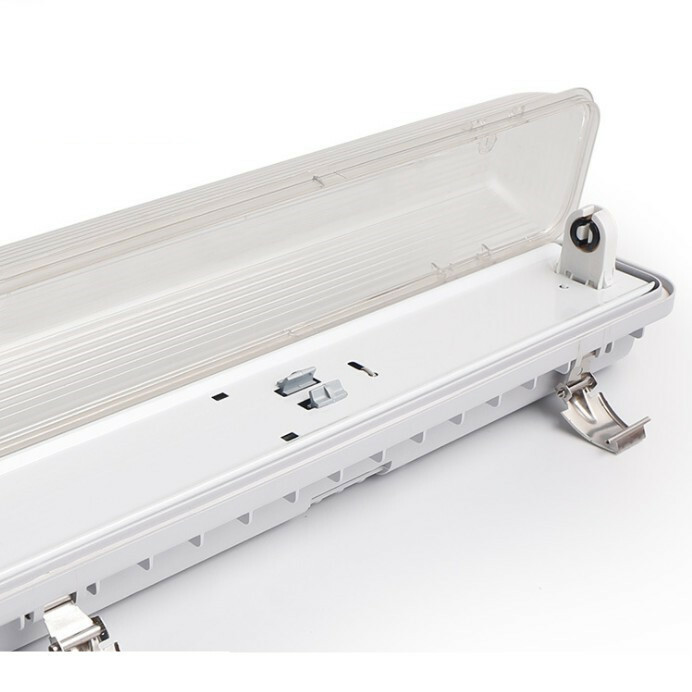 LED weatherproof batten & linear fixtures with protection against moisture, dust, and corrosion. 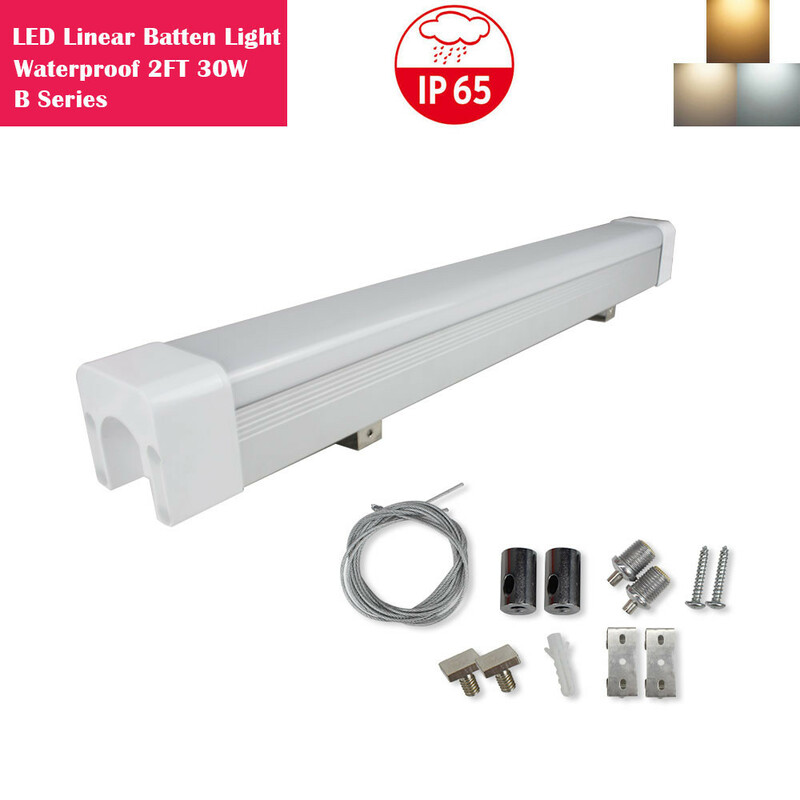 LED Waterproof, Dustproof and Corrosion-Proof batten/linear light is the perfect LED solution which offers an efficient and effective solution for industrial environments that require protection against moisture and dust. 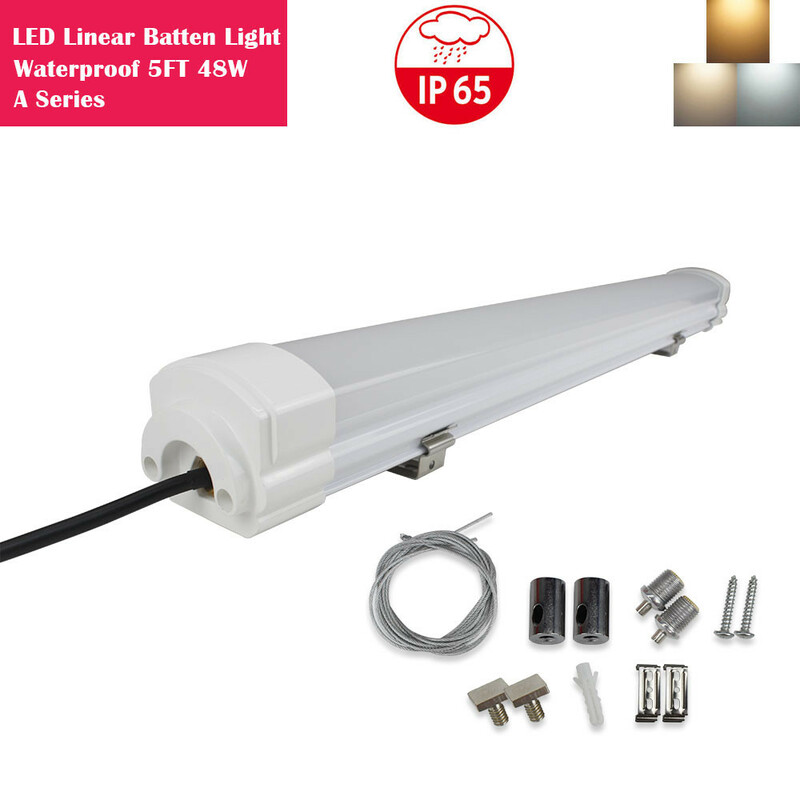 * IP65 rated, suitable for outside areas. Shipping Time: 7-12 Days via Airfreight 20/20 $23.27/ea. Shipping Time: 25-35 Days via Seafreight 1000/800 $13.96/ea. Shipping Time: 7-12 Days via Airfreight 20/20 $30.39/ea. Shipping Time: 25-35 Days via Seafreight 1000/800 $18.23/ea. 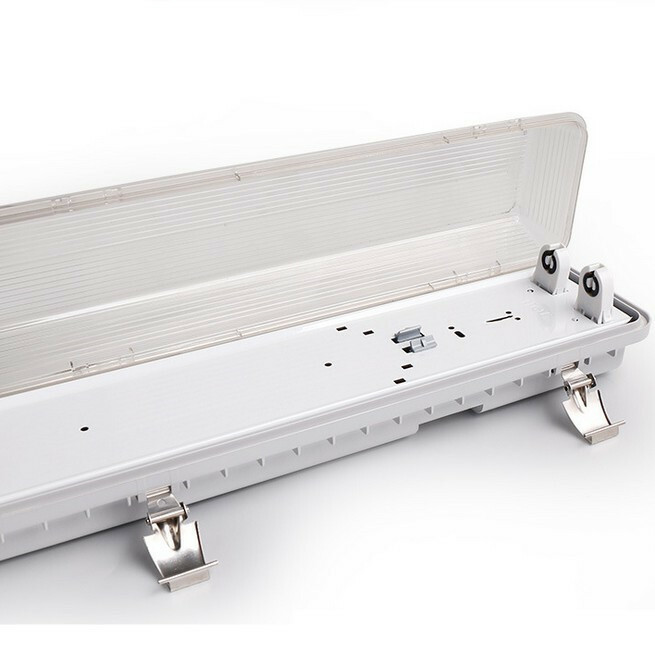 IP65 Weatherproof, Dust-proof and Corrosion Proof, this fixture is an efficient and effective solution for industrial environments. Shipping Time: 7-12 Days via Airfreight 20/20 $38.46/ea. Shipping Time: 25-35 Days via Seafreight 1000/800 $23.08/ea. Shipping Time: 7-12 Days via Airfreight 20/20 $47.01/ea. Shipping Time: 25-35 Days via Seafreight 1000/800 $28.21/ea. Shipping Time: 7-12 Days via Airfreight 20/20 $35.61/ea. Shipping Time: 25-35 Days via Seafreight 1000/800 $21.37/ea. 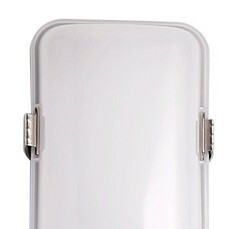 Shipping Time: 7-12 Days via Airfreight 20/20 $56.03/ea. Shipping Time: 25-35 Days via Seafreight 1000/800 $33.62/ea. Shipping Time: 7-12 Days via Airfreight 20/20 $80.72/ea. Shipping Time: 25-35 Days via Seafreight 1000/800 $48.43/ea. Especially for the corrosion area like coastal area(or boat), kitchen room, baker room, chicken farm or farms outside, boiler room, and cold room. 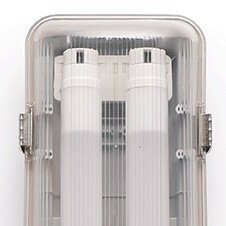 Made from materials selected to withstand aggressive atmospheres laden with salts, acids and mineral oils. Shipping Time. : 7-12 Days via Airfreight 20/20 $13.84/ea. Shipping Time. : 20-35 Days via Seafreight 1000/800 $9.69/ea. * With above average color rendering index which qualifies for most of the applications with accurate color need to seem. Shipping Time. : 7-12 Days via Airfreight 20/20 $19.54/ea. Shipping Time. : 20-35 Days via Seafreight 1000/800 $13.68/ea. Shipping Time. : 7-12 Days via Airfreight 20/20 $23.61/ea. Shipping Time. : 20-35 Days via Seafreight 1000/800 $16.52/ea. Shipping Time. : 7-12 Days via Airfreight 20/20 $15.47/ea. Shipping Time. : 20-35 Days via Seafreight 1000/800 $10.83/ea. Shipping Time. : 7-12 Days via Airfreight 20/20 $30.93/ea. Shipping Time. : 20-35 Days via Seafreight 1000/800 $21.65/ea.